As you may have noticed throughout the heavy activity on our twitter and facebook feeds last week we were in New York City helping our channel partners shine at National Retail Foundation Expo 2015. It’s our third year at NRF and we are very happy sharing the stage with our channel partners showcasing amazing retail experiences powered by our APIs. During NRF 2015 GameStop took stage during the conference keynote showing their vision for the next version of the retail experience in GameStop stores. Meanwhile our channel partner Confiz was presenting the GameStop solution in Microsoft booth. Take a look at the videos below to see how Confiz leveraged Omni-Discovery and Omni-Play building the next retail experience for GameStop. On the other end of the expo area there was a magical mirror able to provide highly customized suggestions based on a variety of secret metrics. Our channel partner thebigspace built the smartest fitting room ever. Below you can find Will Amos from thebigspace demoing their retail experience built on top of our APIs. We are looking forward to share more during 2015. 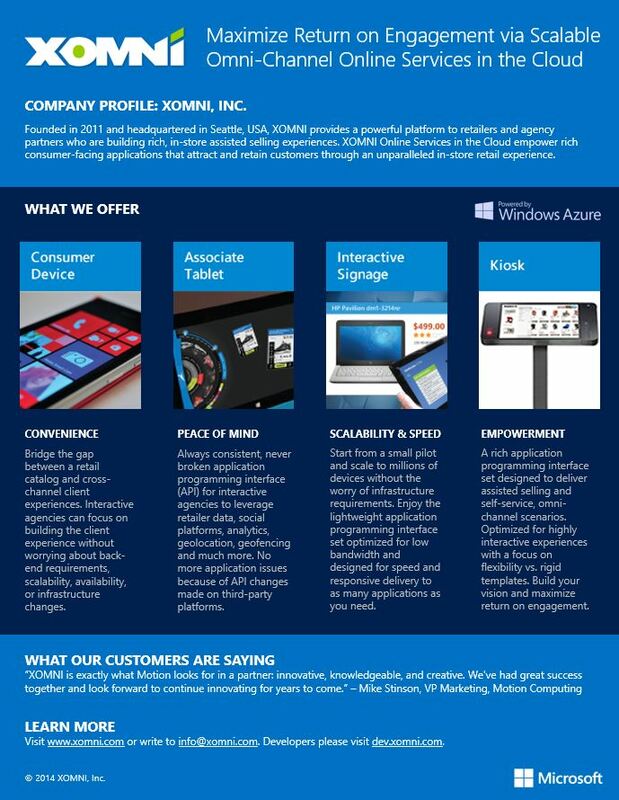 With the upcoming release of our V3 APIs 2015 will be an exciting year for retail. Stay tuned! P.S. If you are a developer keep your eyes on our developer portal! This entry was posted in Uncategorized on January 20, 2015 by Daron Yondem.